Item # 308777 Stash Points: 1,997 (?) This is the number of points you get in The Zumiez Stash for purchasing this item. Stash points are redeemable for exclusive rewards only available to Zumiez Stash members. To redeem your points check out the rewards catalog on thestash.zumiez.com. 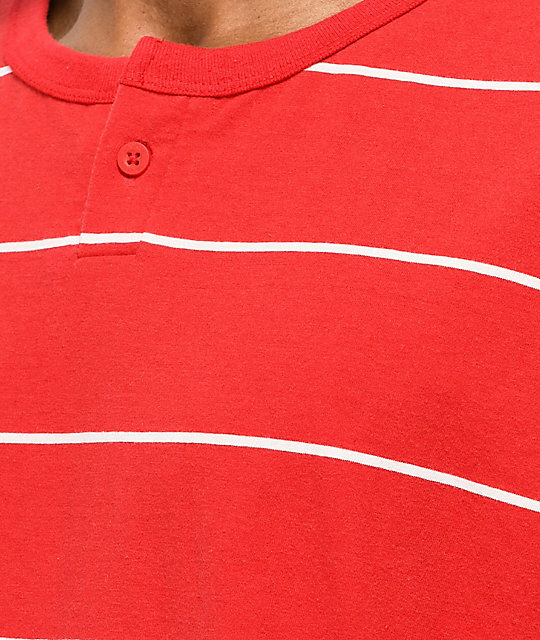 Go classic with the Milwaukee red henley t-shirt from Brixton. 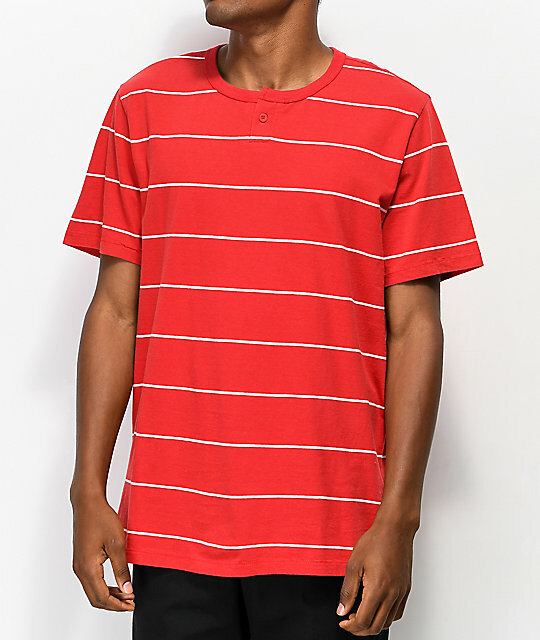 Coming with a red and white striped pattern throughout, this lightweight tee features a single-button henley collar closure for an old-school look you are sure to love. 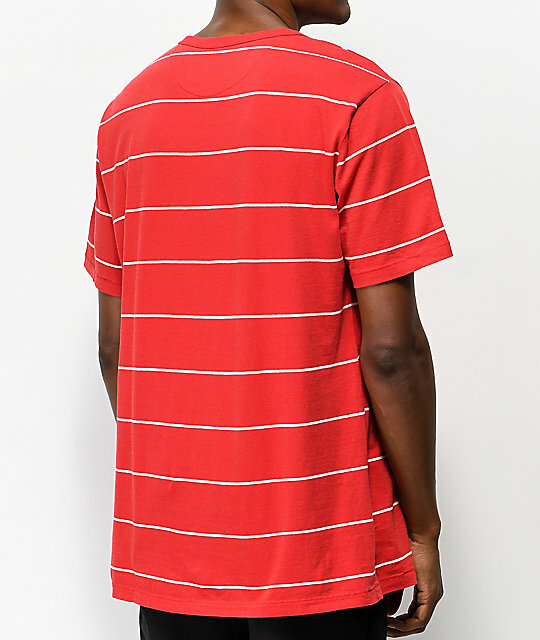 Milwaukee Red Henley T-Shirt from Brixton. One button henley collar closure.